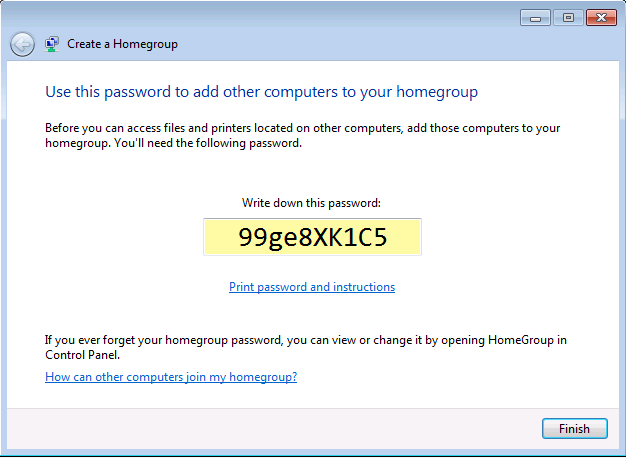 What is a Homegroup in Windows 7? 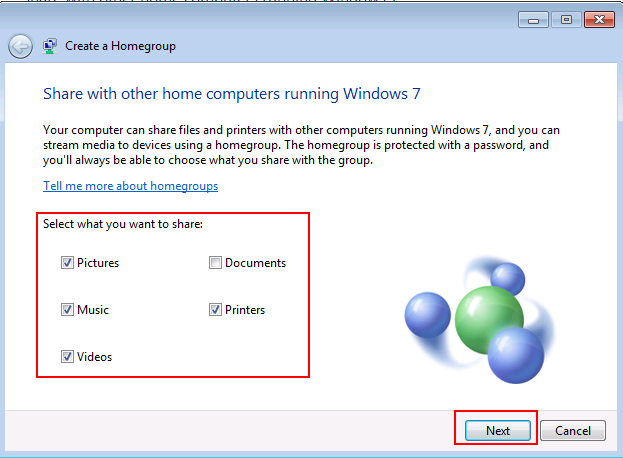 A homegroup in Windows 7 makes it even easier to share documents, photos, music and other files with other computers at home or office. So what is a homegroup? It's a collection of PCs that share pictures, music, videos, printers and documents. In order for a a computer to participate in a homegroup, the computer must be running Windows 7. You decide which files or folders to share in your homegroup. 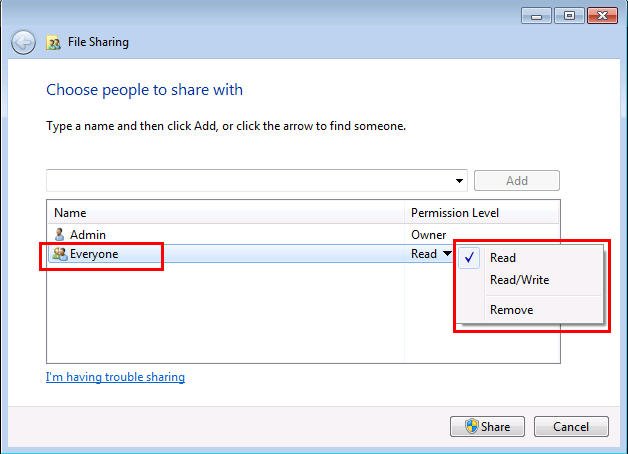 Other people can't change the files you share unless you give them permission. You can also protect your homegroup with a password, which you can change at any time. Read my article about the difference between Homegroups, workgroups ad domains to learn when to use them. All editions of Windows 7 allow you to create a homegroup except in the Home Basic and Starter editions. In those editions, you can only join a homegroup. Computer that are already on a domain can join a homegroup but they can't share files. This is usually because the domain controls the permissions and security on that computer. Now choose what you want to share with the homegroup. In the next screen, a password is created for you to use when adding other computers to your homegroup. Save this password. You will need to type it once when you first join the homegroup on your other computers. 3.) 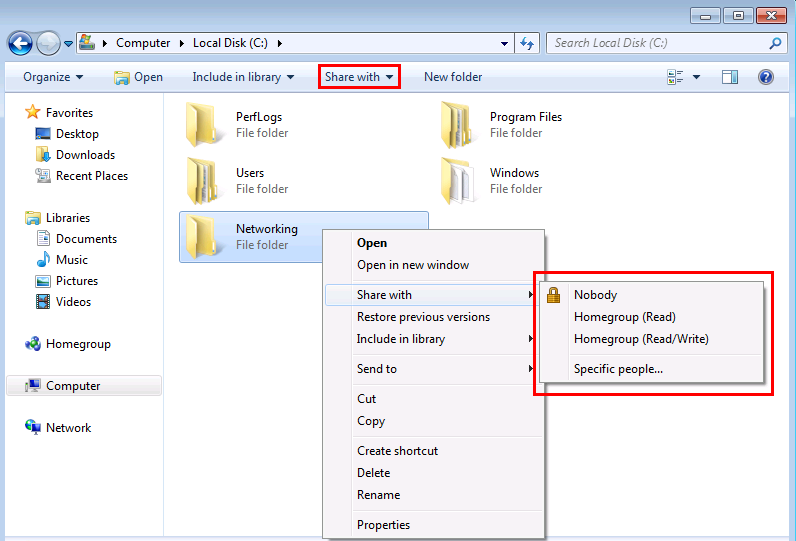 The File Sharing wizard opens, type in the name of the user or group that you want to share the folder with. 5.) In the next window, it is confirmed that your folder is shared. 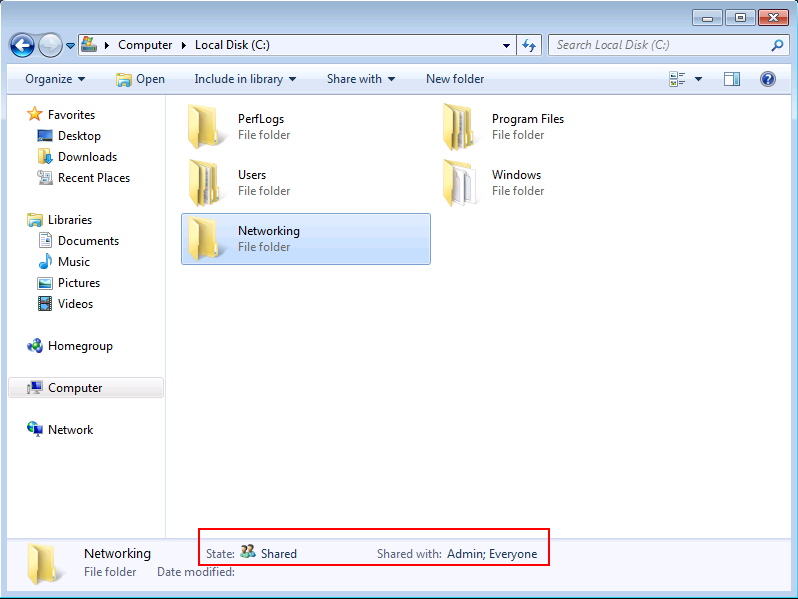 To let people know how to access the folder you can click e-mail to send someone a link to your shared folder or you can click copy to automatically copy the link to the Windows Clipboard. You can now paste it into your e-mail message, instant message or any other program. Just click the file or folder that you shared. The details pane at the bottom of the window will show you whether it's shared and who it's shared with.